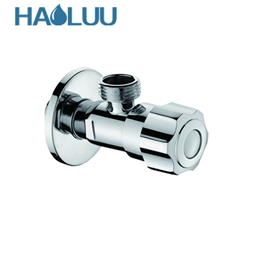 The water angle valve is a device that uses water as the main medium and has the function of opening or closing or regulating the flow rate. 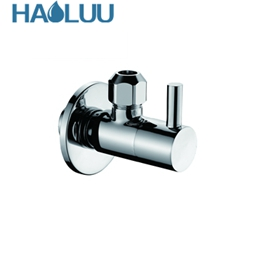 When the faucet leaks, as long as the corresponding angle valve is closed, the faucet can be repaired or replaced without having to close the main valve to affect other places. It is the second guarantee switch for the sanitary equipment. When buying, pay attention to the following points. 1. Look at the material with good copper material. The valve core is generally made of ceramic valve core. The valve core is the heart of the product. The soft touch life is longer. The angle valve gloss is better. Pay attention to whether the product is blistering or scratching. The surface of the good product is smooth and bright, and the hand feels smooth and flawless. Third, look at the weight and weight of the angle valve above 180g is considered to be better. The angle valve is one of the key components of water heating in the home. Don't buy cheap and inferior products in order to save money. Fourth, look at the switch hand wheel design and installation is convenient, not slippery, simple hand wheel design is worthy of choice.